WASHINGTON -- President Donald Trump was not aware that his former national security adviser, Michael Flynn, had worked to further the interests of the government of Turkey before appointing him, the White House says. Pence said in an interview later with Fox News that he also did not know about Flynn’s paid work. Flynn and his company filed the registration paperwork describing $530,000 worth of lobbying before Election Day on behalf of Inovo BV, a Dutch-based company owned by Turkish businessman Ekim Alptekin. In an interview with The Associated Press, Alptekin said Flynn did so after pressure from Justice Department officials. The filing this week was the former head of the Defense Intelligence Agency’s first acknowledgement that his consulting business furthered the interests of a foreign government while he was working as a top adviser to Trump’s presidential campaign. Flynn’s disclosure that his lobbying - from August through November- may have benefited Turkey’s authoritarian government led by President Recep Tayyip Erdogan came as Flynn has drawn scrutiny from the FBI for his contacts with Russian officials. Trump fired Flynn last month for misleading Pence and other administration officials about his contacts with Russia’s ambassador to the U.S., Sergey Kislyak. In paperwork filed with the Justice Department’s Foreign Agent Registration Unit, Flynn and his firm acknowledged that his lobbying “could be construed to have principally benefited the Republic of Turkey.” The lobbying contract ended after Trump’s election in November, according to the paperwork. A spokesman for Flynn, Price Floyd, said the general was not available for an interview Thursday. Floyd referred the AP to Flynn’s filing in response to questions about why he and his firm had decided to register this week. Flynn’s attorney, Robert Kelner, declined to comment through a spokesman for his law firm, Covington & Burling. The Turkish Embassy also didn’t respond to questions from the AP. Spicer said he didn’t know what Flynn had disclosed about his background and lobbying work during the White House’s vetting of him for appointment as national security adviser. Spicer said Flynn was free to do the lobbying work because it occurred while he was a private citizen. “There’s nothing nefarious about doing anything that’s legal as long as the proper paperwork is filed,” Spicer said. He declined to say whether Trump would have appointed Flynn if he had known about the lobbying. After Flynn joined the Trump administration, he agreed not to lobby for five years after leaving government service and never to represent foreign governments. Flynn’s newly disclosed lobbying would not have violated that pledge because it occurred before he joined the Trump administration in January, but the pledge precludes Flynn from ever doing the same type of work again in his lifetime. Under the Foreign Agent Registration Act, U.S. citizens who lobby on behalf of foreign governments or political entities must disclose their work to the Justice Department. Willfully failing to register is a felony, though the Justice Department rarely files criminal charges in such cases. It routinely works to get lobbying firms back in compliance with the law by registering and disclosing their work. More than a month before Flynn was appointed as national security adviser, news accounts and Democratic senators had raised questions about potential conflicts of interest regarding Flynn’s work for the Turkish company. Sen. Jeanne Shaheen, D-N.H., criticized Flynn’s work and late disclosure again Thursday as troubling. “Gen. Flynn’s behavior seems to be part of a larger pattern of poor judgment from members of this administration,” she said. Sen. Richard Blumenthal, D-Conn., said in a statement that Flynn should return any foreign money he received. “This astonishing admission is more appalling evidence of foreign entanglements and conflicts of interest involving the Trump team,” he said. He said a special prosecutor should be appointed to look into ties between Trump officials and foreign governments. Alptekin told the AP that Justice Department officials had pushed for Flynn and his firm to register as foreign agents in recent weeks. He said the filing was a response to “political pressure” and he did not agree with Flynn’s decision to file the registration documents with the Justice Department. He also said that he had asked for some of his money back because of his dissatisfaction with the company’s performance. Flynn’s consulting firm had previously disclosed to Congress that it worked for Inovo BV, a Dutch-based company owned by Alptekin. But neither Flynn nor his company had previously filed paperwork with the Justice Department, which requires more extensive disclosures about work that benefits foreign governments and political interests. Flynn Intel and S.G.R. LLC Government Relations and Lobbying pressured congressional aides to investigate a cleric whom Erdogan had accused of directing a botched coup last summer. The two firms orchestrated meetings with U.S. officials- including congressional staffers and Arkansas Lt. Gov. Tim Griffin, a Republican - as well as journalists. They also worked on research, informational materials and a video on the cleric, Fethullah Gulen. 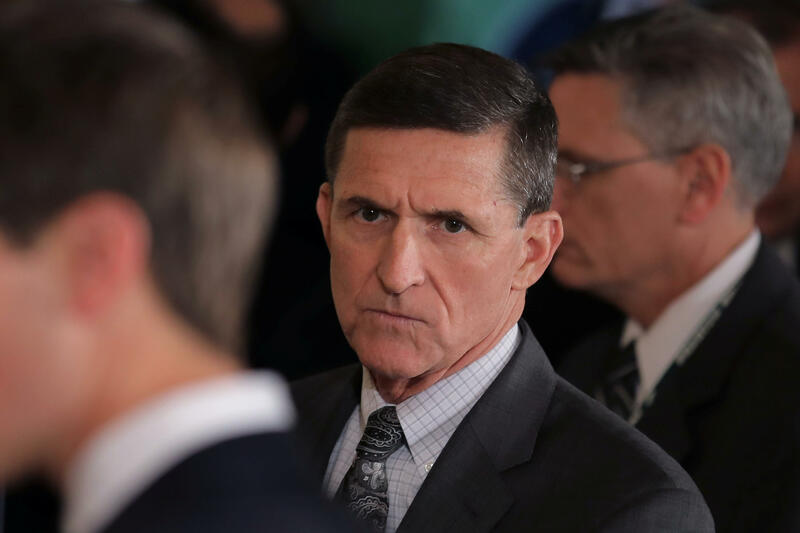 Flynn met privately in September in New York with two senior Turkish government officials, including the government’s ministers of foreign affairs and energy. Flynn’s company did not name the officials, but the current Turkish energy minister is Berat Albayrak, who is Erdogan’s son-in-law. Alptekin told the AP he set up the meeting at a New York hotel between Flynn and the two officials while the officials were attending U.N. sessions and a separate conference Alptekin had arranged. Alptekin is a member of a Turkish economic relations board run by an appointee of Erdogan, who has accelerated a crackdown against the nation’s weakening secularist faction since the failed coup last summer. Erdogan has accused cleric Gulen of orchestrating the aborted coup and called for his extradition from the U.S., where he lives in a compound in Pennsylvania. According to the filing, Flynn Intel’s work involved collecting information about Gulen and pressuring U.S. officials to take action against the cleric.